Omar Sosa inhabits two worlds. One in which all humans live and the other is the spirit world. 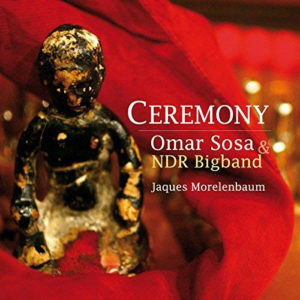 On Ceremony (Music arranged by Jaques Morelenbaum) a record that Omar Sosa made with the NDR Big Band, he has opened the door to both worlds. Moreover, with Jaques Morelenbaum’s masterful arrangements of Sosa’s music these worlds are that much closer. Sosa has been crossing the threshold between this world and the spirit one for as long as he has been making music, probably longer. No matter. Omar Sosa’s music has always been at the heart of the séance, the medium that reaches through the threshold to the spirit world, beckoning the Orishas. Of all the musicians performing in modern music—except perhaps the great Pharoah Sanders—Sosa appears to be the most powerful spiritual aura. His “red and black” is worn with grace, humility and the deepest sense of devotion, like John Coltrane, before him. Sosa was a herald for Elegba on Bembón (Otá, 2000), and many others including two of his strongest recordings, Sentir (Otá, 2002) and Tales from the Earth (Otá, 2009). In fact that last recording, with flutist, Mark Weinstein and guitarist, Jean Paul Bourelly appears to herald the performances on Ceremony to a certain extent. Although the music is scripted to a certain extent, for the benefit of the NDR Big Band, the unscripted solos are towering flights of fancy, especially on the part of the pianist, the percussionists, Morelenbaum, the brass, reeds and woodwinds. This is especially evident on “Monkurú” in the remarkable solo of alto saxophonist, Peter Bolte and in Sosa’s solo. There is also the amazing cello work by Morelenbaum on “Llegada Con Elegba” and Salida Con Elegba”. However, unlike Sentir and Tales from the Earth, which are spiritual adventures, completely improvised, this new album, Ceremony appears to almost parallel a renaissance prayer book and elevate the practice of Santeria to a mostly scripted, almost papal affair. The score is majestic, almost heroic in parts like the music that characterized the Romantic era of two hundred years ago. This does not make it retrograde. On the other hand, Sosa’s music appears to inhabit a musical majesterium and it emerges from this lofty pulpit as if it were a fourth gospel, a score mapping the road to salvation through the resurrected Santeria worship. In this respect the music transcends time, becoming instead a kind of ancient future that exists in its sonic moments that burst out of the proverbial door to the spirit world to which Sosa hold the key. Happily he will make more crossings bringing with him the peace of Elegba, or perhaps—if the inner ear is no longer in tune—the other nature of the Orishas, that which bring more strife, to this already grief-torn world. But if the message of Sosa’s music is anything to go by, it will be gentleness and peace. Tracks: Llegada Con Elegba; Changó En Esmeraldas; Danzó De Tus Ojos; Yemaya En Agua Larga; Luz En El Cielo; Cha Con Marimba; Mi Tradició Carambabá Monkurú Salida Con Elegba. 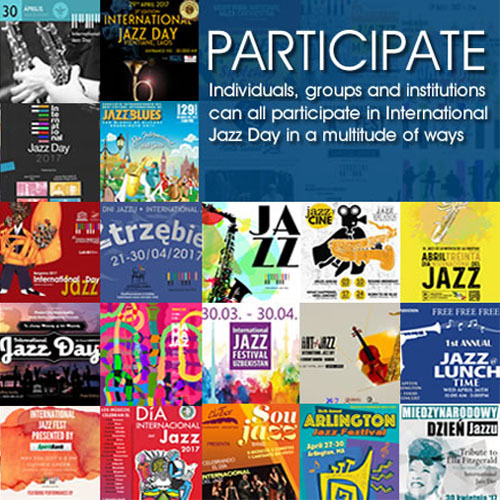 Personnel: Omar Sosa: piano, vibraphone, marimba, percussion; Jaques Morelenbaum: cello and all arrangements; Stephan Diez: guitar; Roland Cabezas: guitar; Lucas Lindbolm: bass; Childo Tomas: electric bass; Julio Barreto: drums; Marcio Doctor: percussion set; Marcos Huká: batá drums, congas, cajón de rumba, guiro; Michael Spiro: batá drums, congas, chekere, timbal; NDR Big Band: Thorsten Benkenstein: trumpet; Ingolf Burkhardt: trumpet; Claus Sto: trumpet; Reiner Winterschladen: trumpet; Stephan Meinberg: trumpets and flugelhorn (6, 7, 9); Torsten MaaB: trumpet and flugelhorn (6); Dan Gottschall: trombone; Klaus Heidenreich: trombone; Stefan Lottermann: trombone; Ingo Lahme: bass trombone, tuba; Gu Bollmann: trombone (2); Jon Welch: trombone (6, 7, 9); Fiete Felsch: soprano saxophone, flute, clarinet; Peter Bolte: alto saxophone, flute; Christof Lauer: soprano saxophone, clarinet; Lutz Bu: tenor saxophone, soprano saxophone, clarinet; Frank Delle: baritone saxophone, bass clarinet.